A day after maniacs shot up a “rock show” in Paris, France, we go to a concert in our own city. This is not a case of us soldiering on with our usual routine in defiance of someone’s sick attempt at an awful new world order. The local techno-Goth music scene is not my usual routine. But I have a marvellously large, culturally far-flung family and one of my loved ones is currently in a band called Voice Industrie. It’s been around for years. “We’re a heritage act,” my sister-in-law explains, each of her earrings as big as my face, burgundy lipstick, six feet tall in black and silver high heels, standing in the evocatively shabby Garneau Theatre lobby. Even without any metal in her face, she’s the most striking person here. What kind of life do I have, to be able to say I’ve known and loved her since she was a child? I greet her with a hug, announcing myself and her older brother with, “The dorks are here!” It’s okay. It’s true. There are no natural blondes at Goth shows. I am a freak of the freak scene. Next to where we stand, there’s a young, indie author selling self-published copies of his urban fantasy-horror novel on a white table cloth. He’s done all the art and design for it himself. I buy a book, tell him about the novel I wrote with the word “death” in the title. When he signs my copy I say, “No, not there. Sign it by your name.” There’s a place, a use for me here after all. He gives me his hand and I shake it with that ladylike, finger-pivot-palm-pulse move I can’t keep from using anymore. I don’t know where I learned it. We have to wait. The show is running forty-five minutes behind and there’s another band on before Voice Industrie. They spell their name with a “9” where most of us would use a “g.” They are not a heritage act. Their front man has his hair bleached swan-white, black pants, white blouse on top, a variation on the dress code our elementary school music teachers used to require at Christmas concerts. He’s a lovely thing, looking like Gerard Way’s long-lost little brother. He can perform too. Breath control—I always envy and admire people with great breath control. Their songs are about despair and gallows and stuff but the fact is, they’re adorable, up there swearing in their skinny jeans. Are their moms in the audience, their big sisters who love them like they’re still kids? I haven’t been inside this theatre since I was in university the first time around. Nothing’s changed since then. I’d forgotten that the chairs rock back and forth, reclining and recoiling. It’s all the dancing I need, sit-down rocking for not-Gerard and the boys. When Voice Industrie finally comes on, and people start to gather at the foot of the stage to dance, my husband stands up to join them. He hasn’t danced in public in years and years. “At least take your glasses off,” I say. I don’t go with him but even back in the day, I never did. If we weren’t able to dance without each other from time to time, this thing never would’ve worked so well for so long. I can’t always see him though the crowd but I never lose sight of the grownup girl with the braids. She’s a beautiful dancer. I hope someone is in love with her. If no one was before, someone must be by now. I stay in my seat, my rocking chair, right for old broads like me, bouncing back and forth until the lights come on and I stand up to blow kisses at my rock star. She takes her bow and runs off the stage, nimble in stilettos, past everyone else, and throws her arms around the two of us. This is the “rock show.” For every one one of us–this is love. I emerge from 准备考试 (where I’m all about midterms in a class of super-smart people all clutching raw scores of over 90% which will eventually be hammered into a horrifying curve) to share this post from the Literary Press Group’s All-Lit-Up blog. It’s about both of my books. Go ahead and read it here. The author, Leonicka Valcius, compares my novels’ treatments of themes of family, love, and death. She even picks a favourite of the two books–and it’s not the same as mine. The piece is long and thoughtful and I enjoyed it immensely, reading as my bus rolled along Jasper Avenue, away from the restaurant where I’d had lunch with my tall, fancy husband and, for the first time this month, we hadn’t been asked if we wanted separate bills. I got home and made dinner for my family, almost from scratch. And in the evening, whilst watching Chinese TV on the exercise bike, I understood not only a phrase but its cheeky play on words that doesn’t translate into English–because no matter what grade I end up with I am learning something. I never meant to cram a month’s worth of book promotion into seven days. It just happened — an unforeseen consequence of good luck, good will, and good publicists. I was so busy last week my kids actually noticed and mentioned how little time I’d been spending in my pumpkin shell. Sure, it was a maternity leave full of freelance work and “will-you-just-let-me-finish-this” but I was here, in the house with them, for almost all of it. The week started early Monday (because, that’s when it always starts) when I went into my closet — the room in the house most like a radio booth — and did a telephone interview with a talk-radio station in Edmonton. It was a “top-line” interview meant to promote an appearance I’d be making in the city the next day. It went well until the very last question. Instead of musing, “You know, when my husband gets interviewed by the media, on the courthouse steps, no one ever asks him who’s looking after his kids,” I laughed it off. So far, no visit from Child and Family Services. By bedtime that evening, I was gone. I was at my sister’s house in Edmonton, getting ready for another “top-line” interview on the most terrifying of all media: television. I haven’t watched television for years and I was scheduled to appear on a morning news show I’d never seen before. What I remembered from TV was mostly how it’s been used to make “real” people look foolish and grasping. In the morning, I got dressed while it was still dark — high black boots, skinny black pants, white top, black jacket. 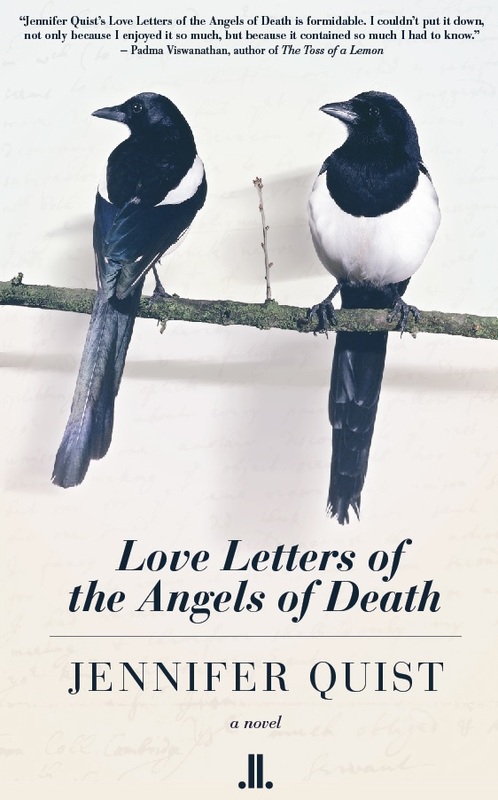 Looking in my sister’s mirror, I finally saw it: I had subconsciously dressed myself to look like the black and white magpies on the cover of my book. After a breakfast of Diet Coke with the coolest girl in Yellowbird Elementary School, I was on the freeway. I got to the studio early enough to meet the other author being interviewed that morning. In the green room was a man my age wearing a raspberry-coloured suit with a peach handkerchief tucked into the breast-pocket. This was self-proclaimed over-dresser and Edmonton literary institution, Todd Babiak. I thought I might run into him here. This was good advice. It turns out Babiak isn’t a TV watcher either and we sat in the green room puzzling at the monitor on the wall as the program wound its way toward our segments. He nodded at the anchor-lady on the screen. “She’s actually read my book,” he said because, in a top-line interview, this is remarkable. Left alone in the green room, I watched Babiak’s interview. Of course, his raspberry suit had to be acknowledged on-air, just like my five kids at home had to be acknowledged on the radio on Monday morning. The boys — they’re my raspberry suit. I told her about the radio station and we all scoffed together. The anchorman who interviewed me was sweet in a clean-cut-captain-of-the-football-team kind of way. I spent the rest of the day in the city, visiting family, calming the frick down before I went to a reading in a bookstore downtown. The guests at this reading included some old friends I hadn’t seen in this century. One of them reintroduced herself in case I’d forgotten her — which I certainly had not. A wonderful thing about a book tour is the way it’s also a time machine. After two days of massaging social media, the time came for another reading. This one was closer to home, in the city my husband commutes to for work. The Red Deer venue was warm and cozy and the time machine coughed out a long lost aunt and cousin. There was a question from a woman — a fellow artist — who earnestly and innocently wanted to know how I “do it” with so many kids in my life. I shrugged, “By being a crap mother, I guess.” This might be my new pat-answer. Put it right in the press kit. The last event of the week was the most ambitious one of all. The person stepping out of the time machine this time would be me. 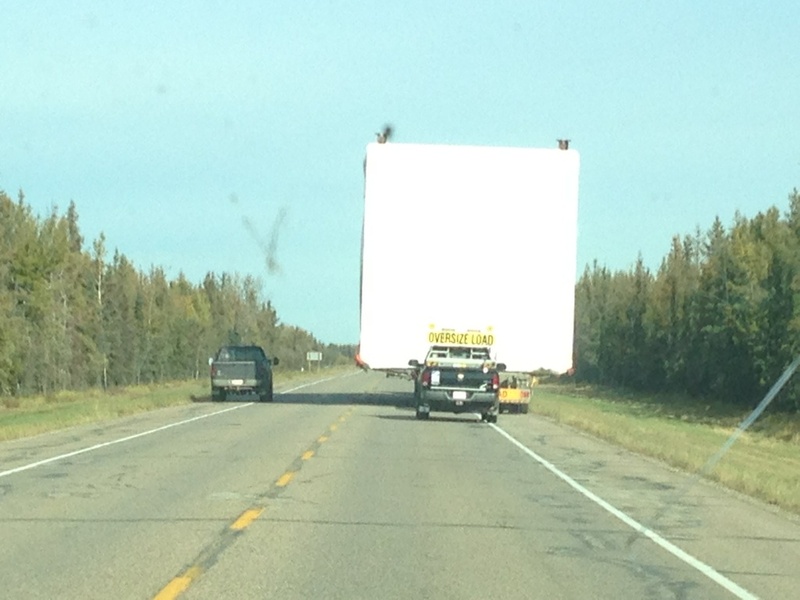 The machine took the form of my black pickup truck — the kind they issue everyone crossing into Alberta’s borders. I picked up my sister (the third sister in this story) and we went north, to Fort McMurray. I’m no carpet-bagger, no oilsand opportunist. For five years during the early 2000s, the city was my hometown. I bought my first house, repaid my student loan, met bears, planted trees, and had two magnificent babies in the city. An entire chapter of my novel is set in the Wood Buffalo region. To get there, we drove for five hours — me boring the heck out of my sister with all my “Wow, this is so different.” I alternated between, “I can’t believe all this is here” and “I can’t believe all that is gone.” No matter what the Old Man says, the region is not Hiroshima. It’s not a wasteland. But it’s not like it used to be either. In seven years, the city’s service industry hasn’t changed. We arrived at 2:45 pm but we couldn’t get into our hotel room to change our clothes. It was still a mess. I’d be appearing in public looking like I’d spent the day in a pickup truck. We hadn’t had a meal all day and we went to a fast food restaurant with milk and grease smeared all over the sky-blue tabletops. This was familiar too. The restaurant couldn’t hire enough staff to have anyone to clear the tables. Customers go there knowing they’ll have to do it themselves. 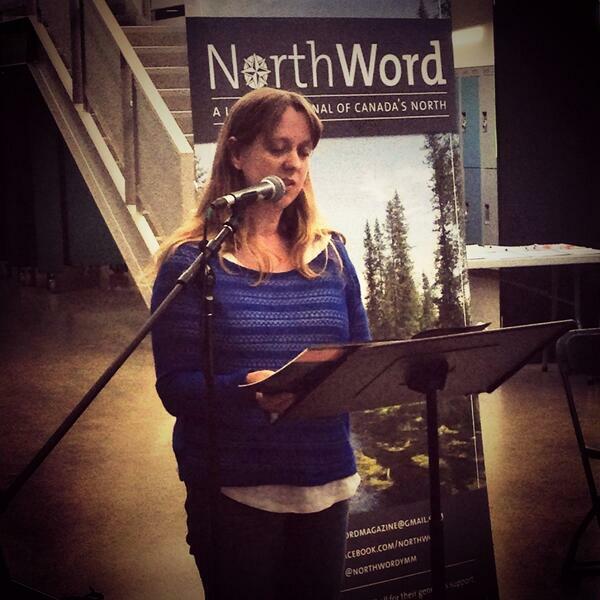 At the event — a launch party for the latest edition of NorthWord: A Literary Journal of Canada’s North — I was invited to read first. I chose the chapter set in the neighbourhood where I now stood reading. And when I got to the part about the trees along the highway — the ones that now exist only in my imagination — I choked into the microphone. Maybe it’d sound noble and Neil Young would pat me on the head if I tried to say I was having a fit of environmental conscience. It wasn’t that. It wasn’t the trees. It was me. There was some kind of awful longing rising in my throat with the words I read. The whole time machine idea — it’s wrong. This place that I love had moved on without me. I was abandoned. And I hadn’t even known it. Part of the NorthWord event was in impromptu poetry contest. The theme was contrast. I jotted some lines and signed my sister’s name to them. The poem was about the dirty tabletop at the restaurant. It was silly and pretentious right down to the lines I wrote in German. The judges got the joke and it won a prize in the contest. But my sister was too embarrassed to let them announce it. Fair enough. 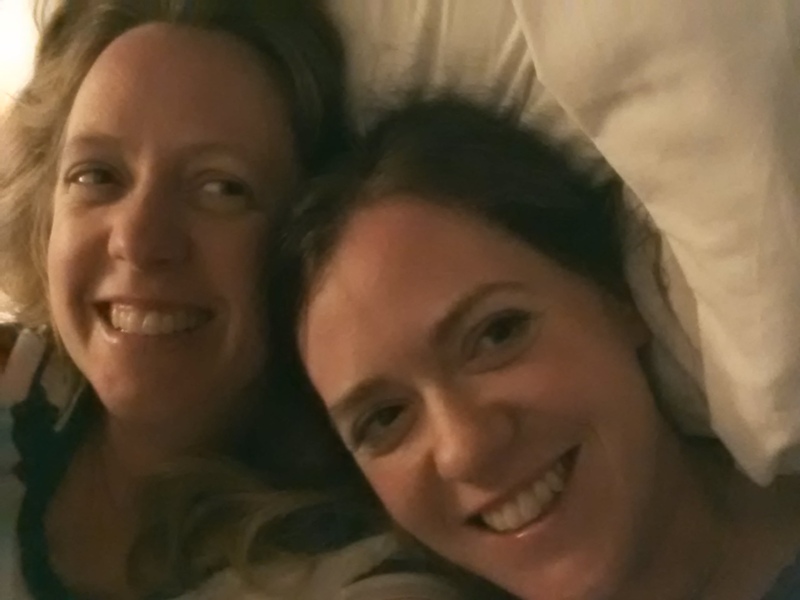 When we were finally let into the hotel, we put on pajamas, got into one of the beds, put our heads together, and watched YouTube on my sister’s tablet — a sisters’ sleepover, just like old times, only not at all like old times. Neither of us had wi-fi or a credit card or an ex-husband or a book to tour when we were little girls. Here’s one more insultingly obvious pro-tip from a newbie novelist: the first book launch event you ever attend should not be your own. For once, I didn’t wait to learn this bit of wisdom the hard way. My novel’s release date is Aug 3, 2013 – just 86 days from now. There isn’t much time left for me to get familiar with promotional literary events before the author in the fabulous arts-chick shoes standing behind the microphone winds up being me. Fortunately, the closest publisher to me geographically – Edmonton’s NeWest Press – held a “spring spectacular” this week. They collected three of their authors and one poet and brought them into the city for readings and signings of their newly released books. It was a perfect opportunity for me to sneak into the literary scene and do some reconnaissance. I started by plotting. What I needed was a pair of wing-people. I convinced these two. This is my extremely helpful and supportive brother-in-law and my baby sister. 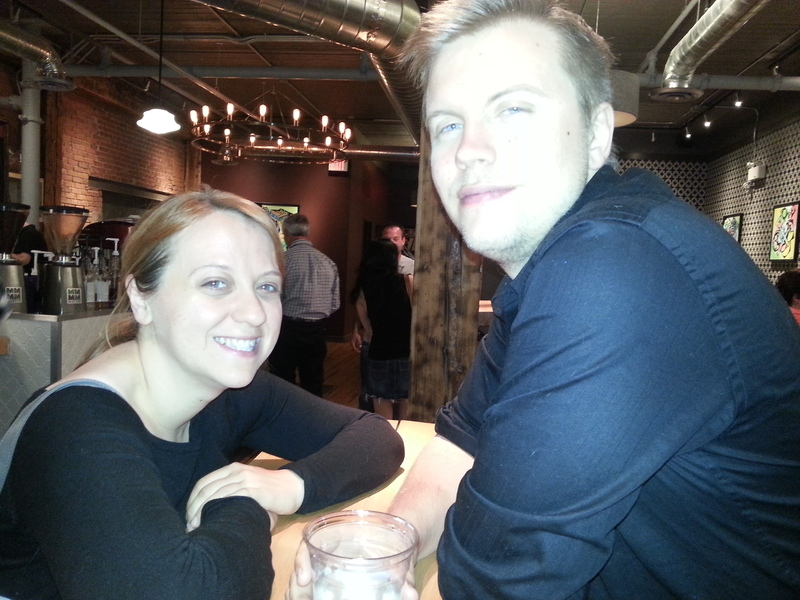 NeWest was holding the launch in a downtown coffee house housed in a restored brick building. By the time we arrived, it was humid-warm and crammed with people and hot beverages. Its name – Roast – couldn’t have been more apt. The only place left to sit was in a dim, empty corner. This was exactly how I had pictured myself here – dark and peripheral. The message was from one of my Twitter/blogger buddies, Laura Frey. She was the woman I kept looking at across the crowded room. I’d never met her in person and I was too stupid to recognize her until later when I overheard her name. This is fairly typical. Sometimes we joke (because brain injuries are hilarious, I guess) that I have prosopagnosia – brain damage that makes it hard to recognize faces. I probably don’t. It’s the kind of disorder that usually only comes on in survivors of horrendous no-helmet motorcycle accidents. The time came for us to stop whispering in our corner and start listening to the readings. The first was poetry from Jenna Butler’s Seldom Seen Road. Her work is set on the central Alberta prairie but it isn’t the usual western Canadiana. In the selections she read, there was a longing and loneliness that didn’t just arise from the physical struggle to subdue a harsh landscape while maintaining human relationships. It rose instead from the decline of the communities that had originally been built on the land. The first wave of prairie settlers is ebbing away as their posterity rejects their way of life. And the second wave of settlers, like Butler and her family, is arriving without a script for how to connect themselves to the crumbling social and physical landscapes left behind. I hadn’t heard of Butler before the launch but the second reader was someone I’d already been admiring on the Internet. She’s Rebecca Campbell, author of The Paradise Engine. I know it’s sexist and vapid to comment on a woman artist’s appearance but I have to mention how impressed I was by Campbell’s height. There’s nothing I’ve seen on her website to reveal the fact she’s at least six feet tall once she puts on shoes (yes, I asked her). Her book was the one I used my launch party budget to bring home. The section she read – a gorgeous picture of a Cold War kid’s night frights over nuclear war – could have been a narration of my own childhood. Campbell writes about crows and Apocalypses – things I love. 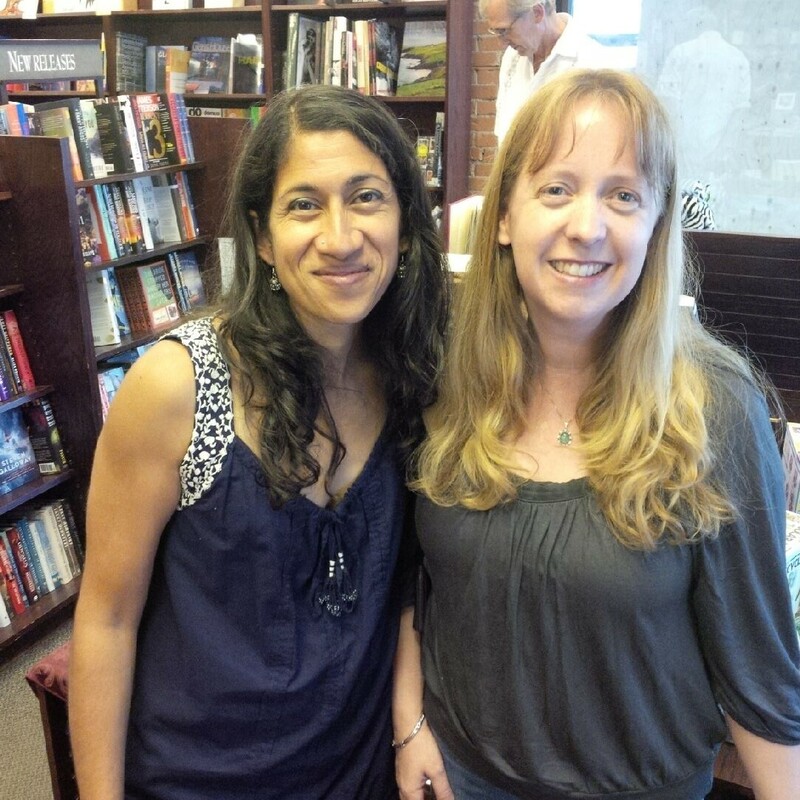 Marguerite Pigeon – yet another author I’ve stalked on the Internet – read from her central American thriller Open Pit. It’s about a hostage taking and a fictitious open pit gold mine. This was the book Emily brought home after Pigeon tantalized us with a crafty cliff-hanger ending. Em and I are going to trade books once we’re finished reading – which, knowing me, will not happen soon. The fourth reader was novelist Corrina Chong. I’ve quoted her insightful ideas about the influence of authors’ realities in their fiction in an earlier post. Any girlie-ness that might have been implied by her pinkish book cover is offset by pencil sketches of squid in all their tentacled loveliness. The selections she read from her book, Belinda’s Rings, felt a lot like real family life to me – especially real life with a demanding little boy who needs his caregivers to be everything and nothing to him all at the same time. She nailed it – nailed it right to my Goodreads to-read list. Roast was roasting and my home was over 100km away so we didn’t stay very late into the night after the readings were finished. I got to meet a few people but not as many as I wanted before my wing-people and I stepped out into the fresh-enough inner-city air. And for my first outing, maybe she’s right. The mix-and-mingle concept is not a big part of my current skill set. Maybe it never will be. Under the high wooden beams of the old coffee house, maybe we were all just a bunch of bookish writer-types lurching out of our comfort zones, trying to recognize each other’s faces from tiny Twitter and blogger head-shots, forgiving each other for not being as smart and shiny in person as we are in print. If you’re ever in the Edmonton City Centre and you see a person sprinting past the stores and coffee shops, pounding over the hard tile floors, doing that funny, ginger stomp down moving escalators, either you’re witnessing the flight of a very bad shoplifter or the frenzy of someone late for a taping at the Canadian Broadcast Corporation studios located at the far eastern end of the building. Last Friday, that CBC bound mall-sprinter was me. It was the seventh time I’ve done work for CBC Radio. Sure, the very existence of Canada’s public broadcaster is considered controversial by some and acknowledged as tenuous by just about everyone. But for now, it’s still a functioning organization that treats its contributors with respect and class. I’ve always enjoyed working with them. My first CBC gig was with the Sunday afternoon spirituality and religion program, Tapestry. I put on a big, foamy headset, leaned into a microphone and read an essay I’d written about my grandmother – an essay I eventually re-read at her funeral as an exhausted 30-year-old involuntarily fasting with grief. The six other pieces I’ve done for the CBC have been for the Saturday afternoon story-telling magazine, Definitely Not the Opera (DNTO). As my producer told me the first time we met, “DNTO is way cooler than Tapestry.” That’s not to say none of my DNTO work will ever be part of a eulogy but it does tend to be lighter and less lyrical. She’s right. And though I can’t make any pre-show notes, I can’t help spending the hour-long car ride from my house to the studio babbling to myself, ironically practicing sounding breezy and conversational. As I speed along the Alberta Autobahn, I compose and repeat the story to myself until the sad parts don’t make me cry and the stupid parts don’t make me sound quite so stupid and every extraneous “um” goes away. I begin the trip convinced that, this time, I’ve left early enough that there’s no chance of me having to make that desperate, frantic dash from the crowded downtown Edmonton parkade to the studio at the far end of the building. This time, I won’t be standing in the elevator, trying to catch my breath, aware that the producer is already on the line from Winnipeg, waiting for the hack freelancer to appear. But it never happens the way I’ve planned. The mad rush to the finish is just part of the experience for me, I guess – just another pre-game adrenaline spike. The recording itself is the easy part. DNTO pieces are personal stories and there’s nothing most of us are better at talking about than ourselves. The producers prompt with questions and politely ask for clarifications. The process takes about forty very pleasant minutes. And from that forty minutes, the story is edited into a tight five minute item. I’m always nervous during the editing process. I’m not included in it. The whole thing happens in a black box about a thousand miles away from where I wait for the results. It’s not until I tune in my radio with the rest of the country on Saturday afternoon that I hear how my rambling story-telling has been carved up and digested. The waiting and fussing — it’s scary. But I haven’t been disappointed yet. The CBC and I are on again this Saturday, March 30 2013 at 1:30pm. Hope to talk to you then. UPDATE: The episode of DNTO I’m talking about above has now been posted. Here’s the link. It’s not a hardship to listen to a whole episode but if you’re my mom or something and you just want to get to my bit, it’s at about 38.5 minutes into the program. I don’t think I’ve ever got an acceptance letter as long and thoughtful as the one I got this week from Jason Lee Norman’s “40 Below Project.” Jason is putting together an anthology of stories and art about life in the city of Edmonton, Alberta during the winters. The project accepted my submission, a short bit of creative non-fiction called “Bleeders.” There was some talk on Twitter about the vampire story someone submitted. The title notwithstanding, mine was not the vampire story. The 40 Below anthology is going to be produced in book form and it’s scheduled for release in November 2013. 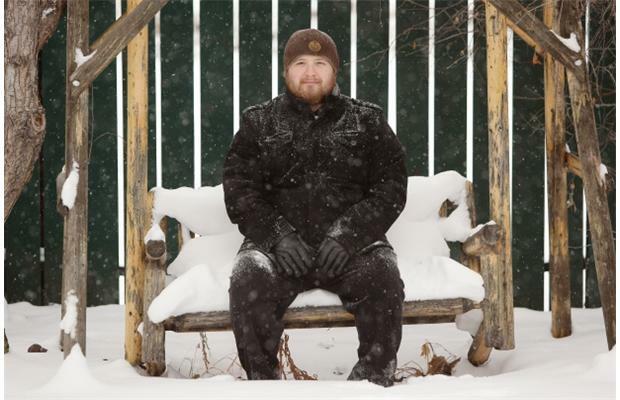 Don’t worry, Edmonton should be well into winter by then.